County Sports and Schoolwear is a leading supplier of quality badged and non-badged school uniform, sports, equestrian, outdoor and work wear. We supply schools and other organisations with customised uniforms, kits and apparel, as well as providing individuals access to associated products through our on-line shop. This section gives more information about our corporate values and mission. We provide an innovative support package whereby the autonomy to determine the product mix, channels of distribution and pricing structure are maintained by the school or organisation, embracing their ethos, culture and values. 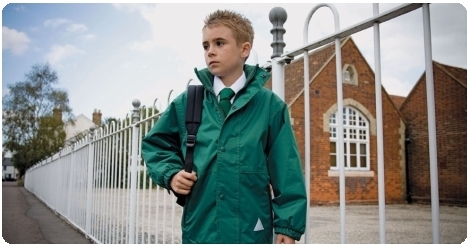 We deliver simple, practical solutions for the management of uniform supply, whereby a professional and seamless service is provided to schools, clubs and organisations with the minimum resource cost. RESPECT. We believe that business should be conducted with total respect for people and the environment, and constantly review all areas of our business, and that of our brand partners, to ensure compliance with our social responsibilities to sustainable sourcing and environmental policy management. INNOVATION. To promote a culture of radical thinking in the implementation of positive change to improve customer value. PARTNERSHIP. To adopt a flexible and respectful approach to meeting the needs of customers and respond positively to stakeholder feedback. QUALITY. To focus on the principles of continuous process improvement as part of a total quality management strategy. You may also contact us using our contact form. Our vision is to become the leading UK clothing, uniform and sportswear supplier for creating value and delivering quality. County Sports & Schoolwear to be the instinctive, trusted choice for uniform and sportswear, and its name to be synonymous with an eclectic range of consistently high quality products and innovative, efficient and professional service. To be the principal market leader in the provision of uniform, sportswear, activity and related products. Also, to provide schools and other organisations with custom-built supply solutions.